Nine old tattered pages are all that is contained in the Irish Army archive report on the crash of a British aircraft near Ballycullane in County Wexford, Ireland on the 16th of September 1943. Three airmen from the British and Canadian air forces lost their lives in this little known crash. The authorities recorded that at about 15:15 on the afternoon of Saturday, the 16th September, an aircraft crashed into a field in the townland of Kinnagh. Local Gardai and members of the Local Defence Force (LDF) were first to the scene and they reported back to the Irish Army coastal fort at Duncannon. The owner of the field was one Moses O'Neill. Sadly, no aid could be brought to the occupants of the aircraft as it had been completely destroyed in the crash. The aircraft had been consumed by the post crash fire. The military party from the 1st Field Company based at Duncannon could do no more than gather up the wreckage and return it to the fort for disposal. Part of a typed report in the Army file records: "The number of the plane was given as P.8825. It was a twin engined one and the Military Officer who went to the scene thought it was a "Beaufighter". "Afterwards I learned that it was a Hudson Bomber." It is not made clear in the Irish Army report where the supposed number P.8825 was being read or guessed from, the serial AM885 would would have been painted on the rear fuselage of the aircraft but by all accounts this was burned out. The report goes on to say:"The Command O.C. [Officer Commanding] gave instructions that Officer quality coffins should be procured and the bodies conveyed to the Border on the 17th instant. Duncannon reported that they would be procured in Waterford. I had a phone call from Comdt. Quinn at 10.00 hrs. on the 17th inst. informing me that an Official from the British Office would call to the Curragh later and go to Duncannon and that he would probably send an officer with him. The Officer from Baldonnel with the British representative called to headquarters, Curragh at 13:15 hours and proceeded after an interview with me to Duncannon Fort. Capt. O'Toole proceeded with the bodies from Duncannon Fort to Dundalk at 14.20 hrs. on the 17th inst. The adjutant, Eastern Command was notified accordingly so that the arrangements for handing over at the Border could be completed. It was also arranged that the handing over of personal papers etc. would take place at the same time. Further hand written notes in the file indicate that Capt. P. O'Sullivan and F.Lt Moore of the RAF did visit the scene on the morning of the 17th of September. The remains of the aircraft were such that the Irish Air Corps indicated no interest in salvage and what could be removed was taken to Fort Duncannon for disposal. And thus the sad affair ended. The aircraft had been recorded in the hour prior to the crash flying around the south coast of Ireland, it was believed to have been heard by Gardai at Skibbereen in Cork, flying south, and then by the Irish Coastwatching Service Look Out Post (LOP) at Toe Head, the Garda stations at Cobh and Whitegate flying overland on the east coast of Cork Harbour, where they believed it turned south and was next heard by the LOP's at Ballycotton and Hook Head moving North East. Little mention is made of the weather conditions in the filed reports and memo's from Irish sources but it should be perhaps noted that the aircraft was 'heard' by the Gardai and LOP's personnel, rather than sighted. In June 1945 following the end of the war, the local Wexford newspaper, the New Ross Standard, ran a short article about this crash and the loss of an Anson in the same year. This article begins, "On Thursday, 16th Sept., 1943, a day on which visibility was very bad, a British aeroplane crashed at Kinnagh, in a field adjoining the main Wexford-Duncannon road. There were three occupants and all were killed." It goes on to mention the names of the two men identified and that the third man, who could not be named at the time, had 'objects of piety' in his possession which indicated he was Catholic. An inquest was held by the Coroner for South Wexford, Mr F M O'Connor with evidence from Capt. Coughlan of the Irish Army and Dr. Toohill both from Duncannon. No reason for the mens deaths could be arrived at by this civil court but it was assumed that mechanical defect or fuel starvation caused the crash. The three men were registered dead in the New Ross registration district following this inquest, their names being recorded as, 'J Male Colhoun'; 'A J (Male) Chaloner' and the final member simply as 'Male'. And so what of the three men, their names could finally be confirmed by the UK authorities and we can easily find their names now using the Commonwealth War Grave Commission website, www.cwgc.org. The crew consisted of a Scottish pilot, a Welsh navigator and a Canadian radio operator/ air gunner. 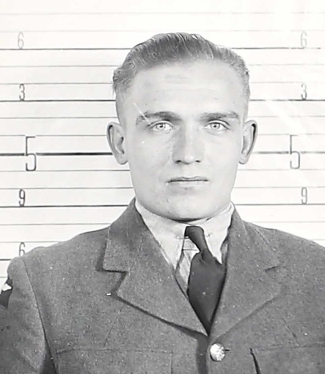 Details of the crew can also be confirmed from the Royal Canadian Air Force service record of F/Sgt A J Chabara. Among the records in F/Sgt Chabara service file are copies of telegrams sent in the immediate aftermath of the crash and an Air Ministry Form 765, 'Report on Flying Accident or Forced landing not attributable to enemy action'. These provide the background to the flight that ended so tragically in Kinnagh. John Colhoun came from Paisley in Scotland, the son of Patrick and Margaret Theresa Colhoun. His remains were returned to his parents and are buried in Paisley Hawkhead Cemetery. He had attended Saint Mirins Academy pre war and was a 1939 Graduate of the University of Glasgow. Little else is known about John. He is buried with his parents in the plot in Paisley. He had at least four older siblings, Sarah, Patrick, James and Francis and one older, Michael. The last of these, Patrick and James both died in 1973 it seems. John Colhoun's grave was unmarked unmarked until at least 2015, except for the family headstone which commemorates his father, died 1932, and grand father, died 1925. John's mother passed away in 1940. The Commonwealth War Graves Commission placed a memorial slab on the grave sometime after November 2015. His parents were Sarah Ellen and Albert Richard Owen. His father was described as an aircraft fitter in his sons probate records. A letter sent to his sister in 2006 was replied to by his nephew, the late Judge M Farmer from Wales. He was aware of the crash and told of a local man from Wexford who wrote to Sgt Owen's family. Sadly, his nephew has since passed away before any further information could be exchanged or a photo obtained. It is hoped that his nephew's family might be able to assist to this end in the future. Pryce had moved to London for work prior to his enlisting the RAF. A local Wexford man, Michael Power, wrote to the Owen family on June 24th, 1945 to say: His plane crashed into a field beside my house. I was the first on the spot. I saw immediately that the boys were past all human aid so that nothing could be done but just let the plane keep on burning, the bodies were all thrown from the plane by the shock of the crash and were not burned. Pryce's name is recorded on the Penygroes town war memorial, with the spelling Price Owen. 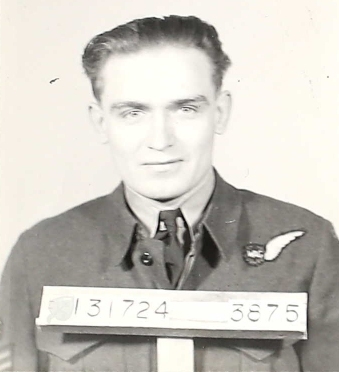 F/Sgt Alexander James CHABARA was the final member of the crew of Hudson AM855. The son of Nick and Rose Chabara, he came from Vilna, Alberta, Canada, a small village founded only in 1907 during the building of the railroads. He worked from 1935 to 1940 as a clerk and later manager in a general store in East Coulee, Alberta. He enlisted in the Air Force on 19 September 1941 and began his training early in 1942 in Canada. He trained in No. 2 Wireless School in Calgary and 7 Bombing and Gunnery School in Paulson, Manitoba. He sailed to Europe in March 1943 and was posted to number 1 (Coastal) Operational Training Unit ((C)OTU) in June 1943. This unit was based at RAF Thornaby in Yorkshire. The three airmen may have formed a new training crew at this location and may have been in training together to form a future frontline crew together. 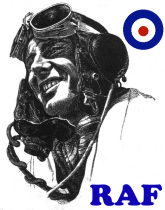 His service file lists a posting dated 18th August 1943 to RAF Lyneham from 1 (C) OTU. A J Chabara was laid to rest in the cemetery in Eglantine, County Down in Northern Ireland. The documents relating to the crash in F/Sgt Chabara's file in Canada indicate that the aircraft they were flying, Lockheed Hudson serial number AM885 was assigned to number 301 Ferry Training Unit, based at RAF Lyneham in Wiltshire. RAF Lyneham had become in 1943 a headquarters for RAF Transport Command and important center for the management of aircraft being sent overseas to the Mediterranean for example. The reason for the flight of AM885 on the 16th of September is listed as being a non operational, daytime, consumption test. This mission type points to the aircraft and crew preparing for a ferry flight from the UK to perhaps Gibraltar in the weeks ahead. By this stage in the war, the Lockheed Hudson had been largely replaced as a front line aircraft in RAF Coastal Command for patrols in the Atlantic. It was however used in the Mediterranean extensively into 1944. It is possible that the crew of AM885 might have been posted overseas had they not crashed in Wexford. 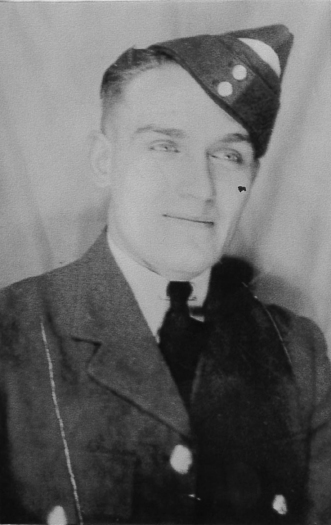 Although born and raised at or near Vilna, Alberta, for a while prior to joining the Air Force, Alexander worked in the small mining community of East Coulee. 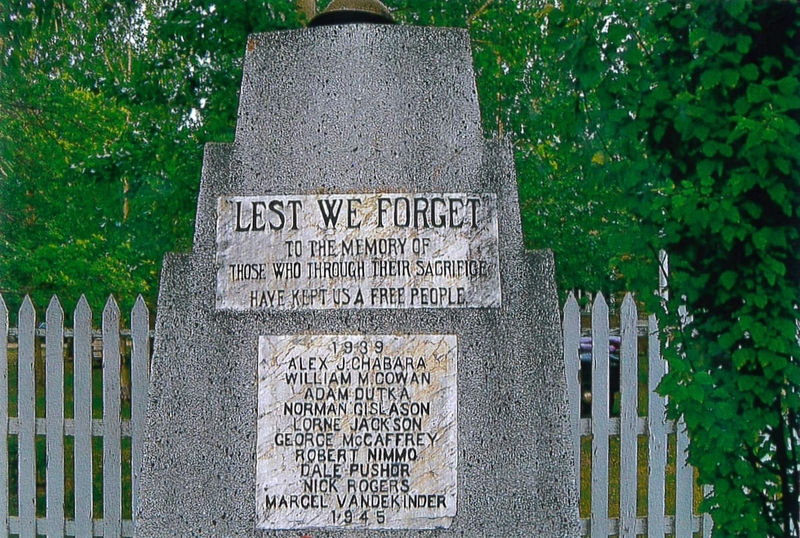 When he died, East Coulee claimed him as one of their own, and his name appears on their cenotaph. Alex's neice provided this photo of the memorial. Due to the complete destruction of the aircraft and the fact that the crash occurred in neutral Irish territory, the contents of the RAF Form 765 for AM885 are extremely limited. Where one might normally find some piece of narrative in the Sections 10 to 13, one only finds the statements, 'None available - Pilot Killed', Not available - crash occurred in neutral territory' etc. The location of the crash is shown in the maps and photos below. The Irish Army variously describe the location as Kinnagh and Ballycullane and to have been adjacent to the main road. 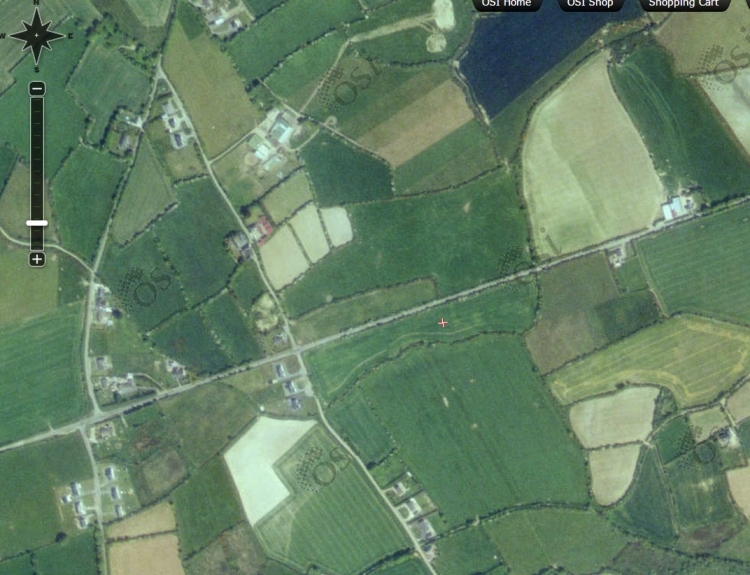 During a visit to Kinnagh in August 2015, a call to some of the houses in Kinnagh resulted in meeting the Whelan family who currently own the field into which the aircraft crashed. The current owners assured me that the location was on the south east corner of the cross roads in Kinnagh townland between the road in Kinnagh and the main R733 road from Duncannon to Wellingtonbridge. The field is shown in the below screen grab from the OSI website, with the modern day field having been formed from about six older, smaller fields. I was told that despite the lack of any debris from the crash, if one was ploughing the field, traces of blackened soil is still evident. 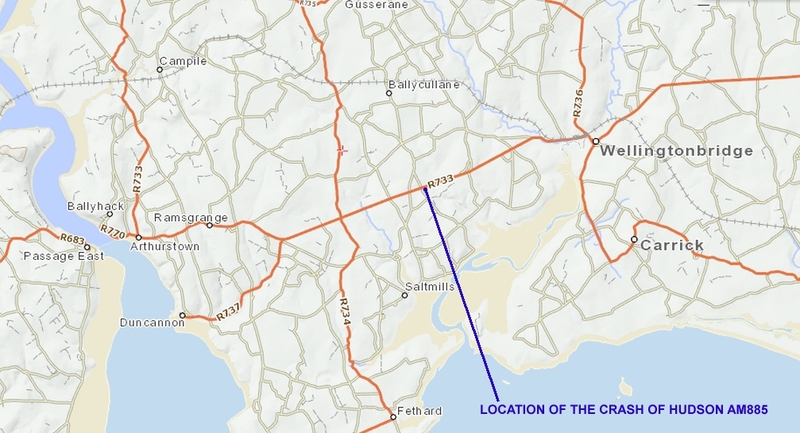 The field location shown on a map of the local area below. 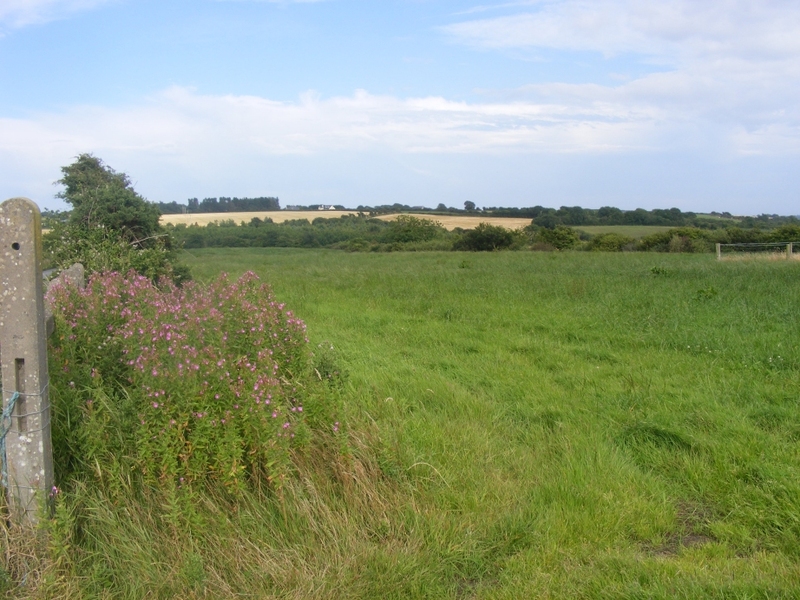 A photograph of the field itself taken from the gateway.